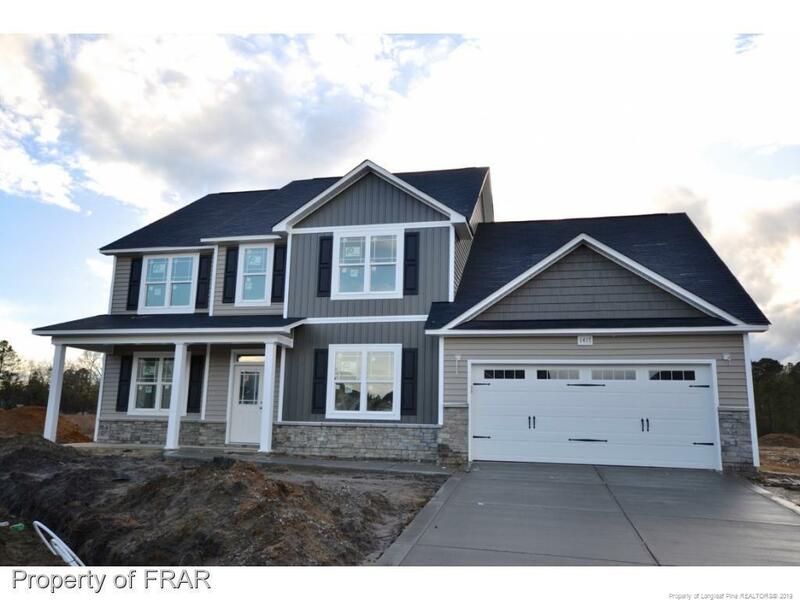 This brand new home is a perfect for a new family! Spacious home w/an open plan with over 2,900sqft. This home has formal dining rm w/coffered ceiling. Flex rm across from the formal dining would make a great office. Large kitchen w/breakfast nook, large pantry & plenty of counter/cabinet space w/granite counters is open to the large family rm.Huge master suite on 1st floor w/glamour bath & large WIC.3 Spacious bedroom's, full bath & huge loft/2nd family room on the 2nd floor. Minutes to the Hope Mills library.